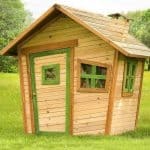 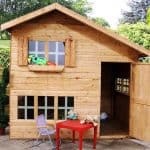 This gorgeous wooden playhouse will keep children entertained for hours. 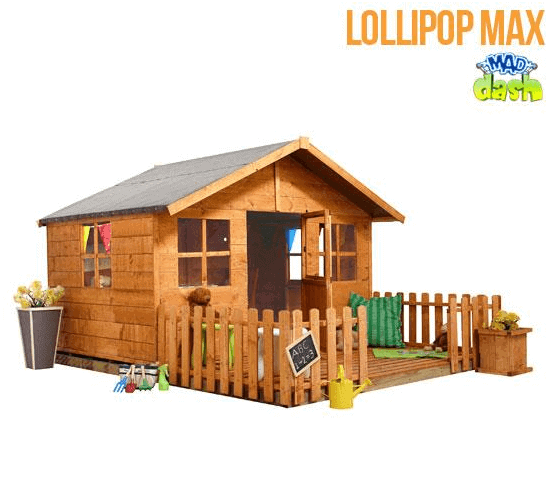 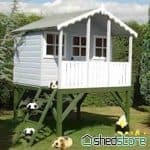 Constructed from hard wearing and long lasting wood and with an apex roof and pretty windows this is a stunning addition to any garden, adults will find it hard not to want to explore too! 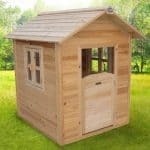 This particular style comes complete with a veranda and picket fencing too. 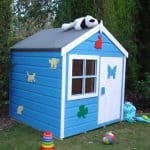 It is also paintable in a colour you know the children will adore so you can tailor it to your exact specification too. 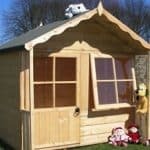 Available with many optional extras and at an affordable price it’s a wonderful gift for the kids.